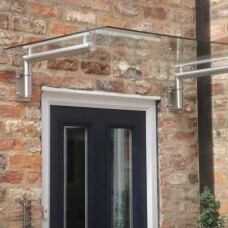 Modern and contemporary real glass door canopy - Various sizes available. 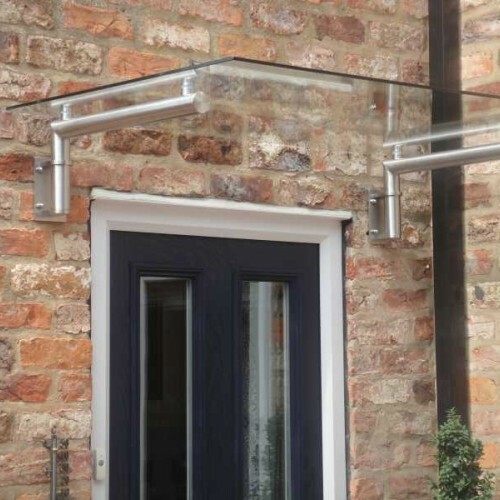 The canopy is made from exterior grade, satin polished stainless steel brackets and 8mm toughened safety glass. Available to purchase in standard widths or contact us for a bespoke variation. 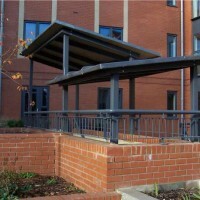 2-3 weeks lead time for any other canopy, including bespoke variations. Delivery to mainland UK , check our terms and conditions for excluded zones. Our customers are welcome to collect from our base in Sheffield, Yorkshire. Basic fixing instructions will be provided and we are just a phone-call away if you need more advice! We can also quote for professional installation on multiple purchases. Stainless steel is simple to clean but must be maintained regularly for best results. Choice of service - DIY kit form products or professionally installed. Superb reputation for all of the above! 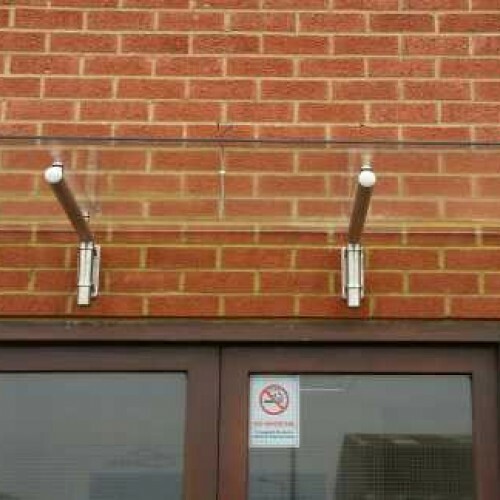 Modern and contemporary real glass canopy - Various sizes available The canopy is made from exterior..
Modern and contemporary real glass door canopy - Various sizes available. The canopy is made from ex..
Real glass door canopy. 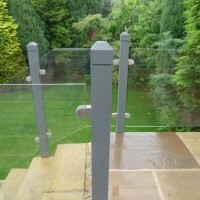 The canopy is made with powdercoated steel brackets and 8mm toughened safety..
13.5mm thick toughened and laminated glass - All sizes available including a bespoke cutting service..